I photographed this very attractive pitcher and tumbler in clear carnival while it was in the collection of the late John Britt. As far as I know, he was never able to uncover the maker. 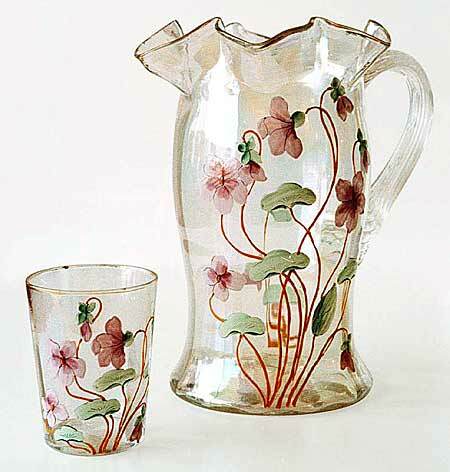 The pitcher sold at a 1998 auction for $375; the tumbler for $30. The tumbler sold again at a 2004 auction for $140.